I am linking this into cityhippyfarmgirl's 'loving this week' post for July. Quinoa cooked with the juice of one lemon and topped with paprika-spiced tofu (and vegetables). I think lemon may be my favourite quinoa accompaniment. This salad was an impromptu side dish made to complement a roast vegetable strudel like the one I did last Christmas. The strudel was hot and appropriate to winter. The salad is probably more appropriate to summer, but it was highly enjoyable regardless. Plus, it packs a hefty dose of vitamin C, and that at least is winter appropriate. In addition to Vitamin C, this salad provides protein from the chickpeas and it is sweet from the orange. I think corn would be a nice addition to the mix too, and in future I may try that variation. 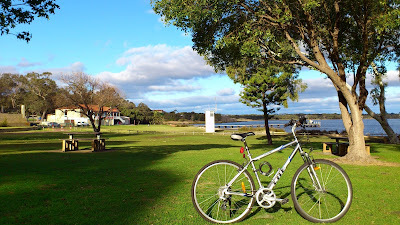 Last weekend, Mr Bite and I went for a leisurely, long bike ride along a stretch of Perth's Swan River. Doing so made me think that it was time for another 'out and about in Perth' post. And so! Here we are. For those of you not familiar with Perth, the city grew up around the Swan River, which extends from the Perth hills east of the city right down to Fremantle in the west, where it joins the Indian Ocean. 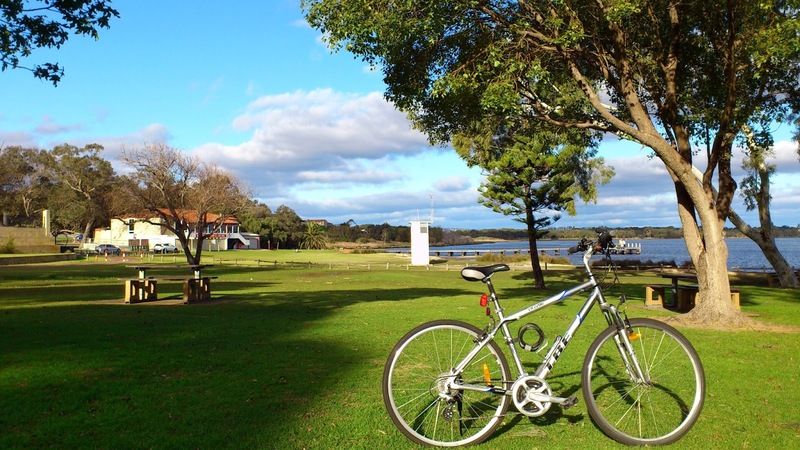 The riverside areas provide opportunities for walking, running, cycling, dog walking, and picnicking. It's been 4 months since my last post on books or reading, which I think is a long enough break for topics I find so enjoyable (and which I hope are also enjoyable for you!). What is more, I have recently finished three excellent books and I hold the belief that if you read an excellent book, it is worth letting others know of its existence. In my last travel post, we were approaching Cairns after 5 days of driving across outback Australia. Enjoyable as the outback section was, reaching Cairns was exciting. Not only is Cairns a city of reasonable size (some 150,000 people), it was a coastal city and it was green. Buildings, water and trees are wonderful things when you haven't seen them for nearly a week! Is anyone else intimidated by eggplant? All that instruction about using salt to draw out moisture and offset bitterness, but then reading that modern eggplant isn't bitter anyway so don't worry about it? I'm never even sure how I should cut the thing. Recently, I saw some baby eggplant on special and thought it would be a good opportunity to get over my eggplant trepidation. It's winter here, after all, and if there is any time to experiment with roast vegetables - now is it. And you know what? It wasn't that hard. I've been meaning to write this post for a while now. Unusually for me, I have struggled with how to start it. Do I tell you about my experiences with orthotics from age 12 to age 18, when my tendencies towards over-prontation were identified? Do I tell you about the running seminar I went to where I heard about gait analysis? How much detail do you really want on orthotics anyway? Are you ready for a little burst of excitement? 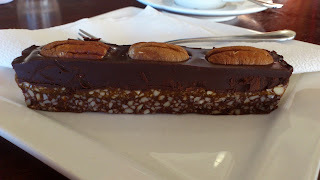 I recently discovered Rawsome raw vegan snacks and they have raw vegan caramel slice! and raw vegan mint slice! 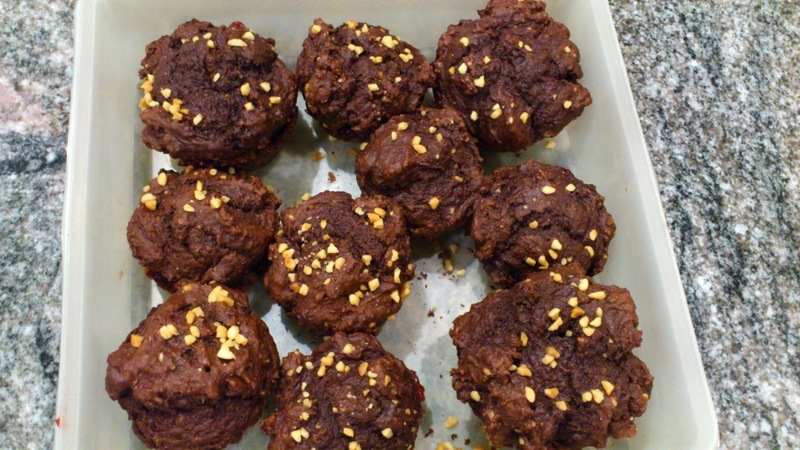 and raw vegan lamington balls! and raw vegan many other things I can't even name them all here! and they are available really dangerously close to where I live and work. In case you couldn't tell, I am very excited by this. Our camper van drive across the top of Australia included two overnight stops in the Northern Territory, and then two in Queensland. I have to confess that where the N.T. surprised us with its varied and green landscape, Queensland surprised me with its monotonous and barren landscape. Not only that, it has a 110km / hour speed limit (admittedly in line with the rest of the country and perfectly reasonable), whereas the N.T. allowed us to zoom along at 130km / hour. If there were any slightly boring bits to our driving, they were in the section between the inland Queensland border and Cairns!